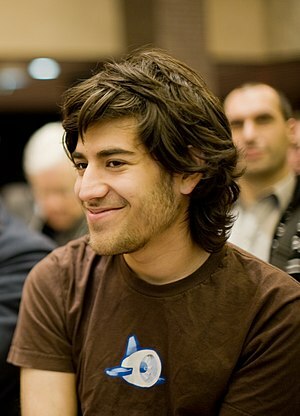 Our Deepest Condolences,go out to The Swartz Family, from computerinformationsystems. It is never easy to lose a Son,or any Family Member to Suicide.It is even Harder to understand truly ,what he was thinking Moments before he took his own life.From reading Various article around the Net,and especially the article on Time magazine,some of the blame falls on the Overzealous Prosecutor and MIT that failed to Declare their intentions. While i do not condone His actions on the JSTOR website,he broke the law obviously….But i hope the Prosecutor Sleeps well at Night,because whether he knows it or not he has Blood on his hands whether directly or indirectly.People fail to realize that one can only be pushed so far,whether you are the Brightest or the Not so Bright,all it takes is for the balance to tip to one side and you decided to take your life. MIT,i hope has learned its lesson,and i applaud their decision to step forward and conduct an internal investigation.Hopefully it bears fruit, and not another veiled response to steer trouble or for ‘Good PR‘. He was a pioneer in many ways in Internet Activism and was surprised that he the co-founder of Reddit.Wow!!!! Wow!! The world is dangerous. At every corner, separation and sadness await our crossing, sabotaging our happiness and stealing our hope. Knowing this, we risk living anyway, we risk loving anyway. And the pain and loss that comes is not given to us as a personal test, but simply as a consequence of being alive. I am truly sorry for your loss. Next DEAL ALERT!!!!! DEAL ALERT!!! !